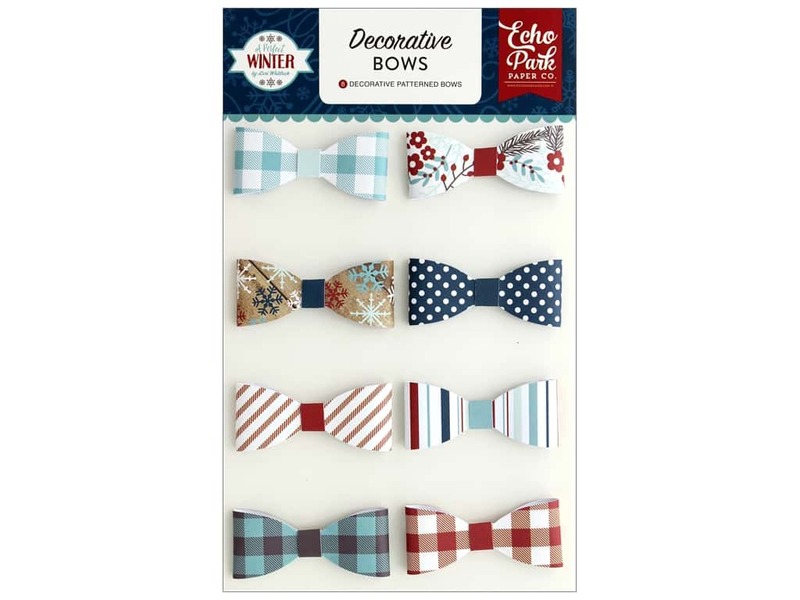 Description: Echo Park Collection A Perfect Winter Deco Bows - 8 dimensional paper bows with coordinating center wrap. Each bow measures approximately 2.13 in. x 1 in. x .25 in. Colors are red, blue, brown and grey. See more Echo Park A Perfect Winter Collection.